On Sunday 22nd May 2011, elections for both local councils as well as autonomous regional governments will take place all over the country. As a non-Spanish voter, you are entitled to vote for thsoe who will represent you in your local town hall, provided that you are registered on the municipal census (padrón) and on the voting register. Non-Spanish nationals are NOT entitled to participate in the autonomous community (regional government) elections, only the municipal elections. On 22nd May, local schools and certain municipal premises will be converted into polling stations and will be open to voters from 09.00h through to 20.00h. It should be noted that the method of voting may be DIFFERENT in Spain to your home country!! It is important to know HOW TO VOTE, as your vote could well become void if the correct procedure is not followed. In Spain, a person votes for the particular political party, not for a particular person or area (ward) representative. Each political party presents a list of their candidates. The list will include the same number of candidates as there are seats on the local council, with three ‘spares’. 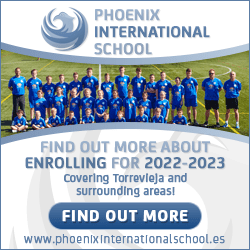 (In Torrevieja, for instance, there will be a total of 27 seats on the local council and each political party will produce their own list of the 27 (plus 3 spares). The voting slip for municipal elections is the WHITE voting slip. This white slip is the only one which a non-Spanish voter is entitled to use. The pink coulred slips are for the autonomous community elections in which only Spanish national can vote. Generally, the first name on the municipal (WHITE) list will become Mayor of the town should that particular political party win the most seats. WHAT TO DO ON VOTING DAY. Your polling station will, most likely, be the school or municipal premises designated for that purpose for the day, which is nearest to your home. You should attend there at any time between 09.00h and 20.00h. The voting procedure should only take a few minutes. Take with you a recognised, official form of identity which includes a photograph of yourself, for example a passport, driving licence, residents’ or national identity card. On a table inside the polling station, you will find a number of piles of voting slips, one pile for each political party. The voting slips for the municipal elections are WHITE. This is the ONLY voting slip you can use. TAKE CARE to ensure that you only pick up the voting slip for the party you wish to vote for. Study the slip to ensure it is the correct party. (Probably, you will already have decided and will recognise the name, initial, and ‘logo’). DO NOT MARK THE VOTING SLIP IN ANY WAY AT ALL. The placing of a cross or any other mark on the paper will result in your vote becomeing VOID!! Place the UNMARKED, white voting slip in the WHITE coloured envelope provided. (You will find a pile of envelopes next to the voting slips). Report to the voting desk and produce your identity document – your name will be checked to ensure that it is included in the voters register for that particular polling station. When you are told, PLACE THE ENVELOPE containing your UNMARKED voting slip, into the transparent urn on he presidential table. During the run up to the election, you may well receive, either through the post or given to you by one of the local political parties, an envelope containing a voting slip. MAKE SURE that the slip is for the POLITICAL PARTY that you wish to vote for. If this is the case, you only need to take your envelope and slip along to the polling station on the day. Ensure that neither the voting slip, nor the envelope are marked in any way. ONLY UNMARKED VOTING PAPERS WILL BE ACCEPTABLE at the final count!!! As a resident in Spain, you have a RIGHT to decide which political party will run your local council for the next four years. Make sure that you USE YOUR RIGHT TO VOTE!!! !